Professional and responsible Yoga teachers become exceptional Yoga teachers. The Yoga teacher who shows up late for class, is disorganized, and does not have a hint of lesson plan in his or her head, will not be successful. As a Yoga teacher, your conduct should be professional at all times. You cannot “act like a Yoga teacher” during a class and then provoke conflicts outside of your classes. 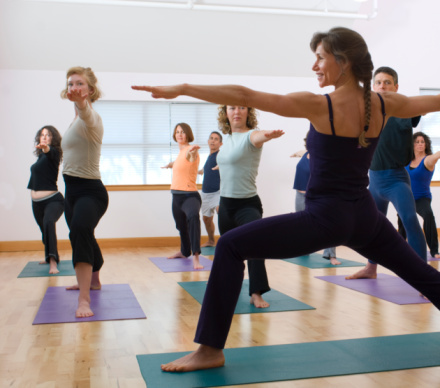 Yoga instructors need to have problem solving skills, as not all bodies are the same. Some students will require a bit more “maintenance,” than others. You are a living and breathing guide to Yoga’s many aspects. You will be asked to explain the physical, mental, and possibly the spiritual benefits of Yoga. As a result, you will become a better Yoga teacher than you imagined. The responsibility just comes with leadership and being self-employed. An independent mind-set is ingrained through the daily routine of handling your own affairs. You are in charge of your own finances, health, career, and more. Being willing to adapt and evolve is a key component to teaching Yoga. Now more than ever Yoga and healing information is being exchanged at the speed of the Internet. You must absorb information in regard to Yoga, physical therapy, ailments, physiology, anatomy, kinesiology, and sports medicine. Therefore, you may want to learn how to speed read or listen to audio books. Your Yoga lesson plans will evolve, when you learn new methods for safety, modifications, and how to help Yoga students with ailments. Planning and preparation are a part of each day, as you get ready for each Yoga class. You must also write down your daily, weekly, monthly, and annual goals. This will propel you to a level of Yoga teaching beyond your “wildest dreams.” This method is a matter of positive visualization and using positive energy for the good of those you come into contact with. You will be shocked to see your written goals become reality, but written goals do come true quite often. Ambition is the final key, but based upon what I have already said, all aspirations should be “kept in check.” Never look at life from a linear viewpoint. Enjoy your loved ones and friends, as you work toward becoming an exceptional Yoga teacher. This will be your holistic path to success.